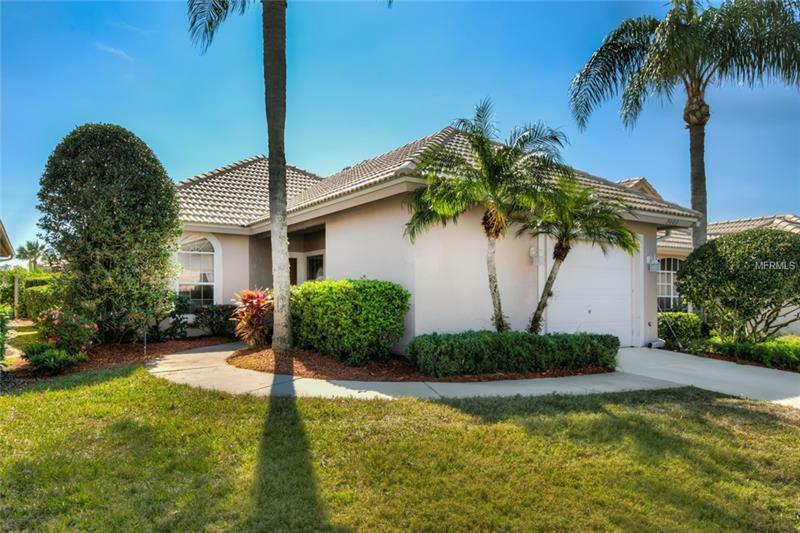 Tucked away on a quiet cul de sac, this home has a tile roof, a screened patio, a large kitchen with informal dining area and an oversized garage with room for a golf cart or extra storage. There is a split bedroom plan with a guest suite and a master bedroom-both with en suite bathrooms. The community of Saint Andrews has a pool and work out center which for the exclusive use of Saint Andrews and Saint Ives residents. Care-free lawn maintenance is offered for $82.00 per month and the Saint Andrews pool is $31.00 per month. Saint Andrews is a neighborhood in The Country Club of Mount Dora. Golf, pickleball, tennis and club events are available with club membership. The location is minutes away from historic downtown Mount Dora with its charming shops, restaurants and art galleries and is less than an hourâs drive to the Orlando International Airport.